Left over landmine killed two and wounded five children in Al-Hamdaniyah district of Aleppo city. The incident occurred as the children interacted with the landmine after finding it in ‘1070 Apartments Project’ area. Separately, an improvised explosive device wounded a civilian near Abu Bakr mosque in Al-Bab city. Suicide vehicle-borne improvised explosive device wounded an element of Hayat Tahrir al-Sham at Sheikh Suleiman checkpoint in the city of Darat Izza in western Aleppo. Improvised explosive device wounded a civilian in Al-Jamiea neighborhood of Idlib city. Syrian Arab Army’s artillery shelled Morek, Al-Hawiz, Kernaz, Tell Bizam, Zayzun, and Al-Muhajireen in northern and northwestern Hama. Reports claimed that two civilians were wounded by the shelling. 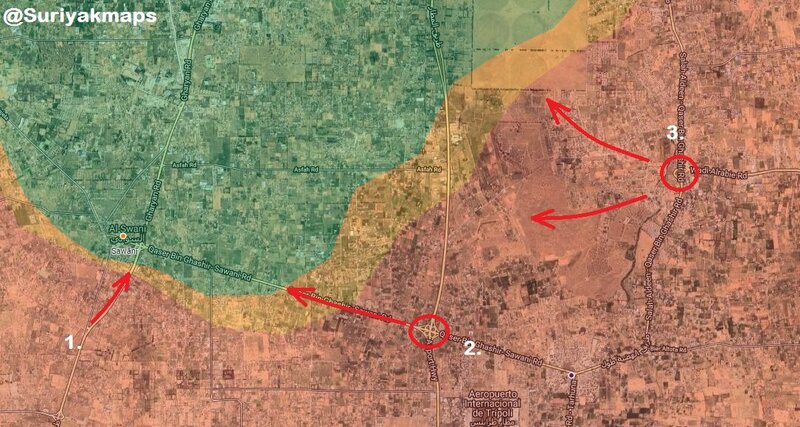 Libyan National Army and forces loyal to the Government of National Reconciliation continued clashing in southern Tripoli, without any major gains on either side. Islamic Emirate of Afghanistan (Taliban) launched an attack on Afghan National Security Forces’ positions in Shakar Sheila and Eid Gah areas of Sangin district. According to the Islamic Emirate of Afghanistan’s Al-Emarah News, at least 14 elements of the Afghan National Security were killed and wounded in the encounters. Islamic Emirate of Afghanistan overran an Afghan National Security Forces’ post in Yosuf Nika area of Maruf district. Three elements of the Afghan National Security Forces were killed, as well as two armored personnel carriers and a pickup destroyed in the encounter.